Where else to better relax after months of prep and days of partying? Yep, Hawaii. 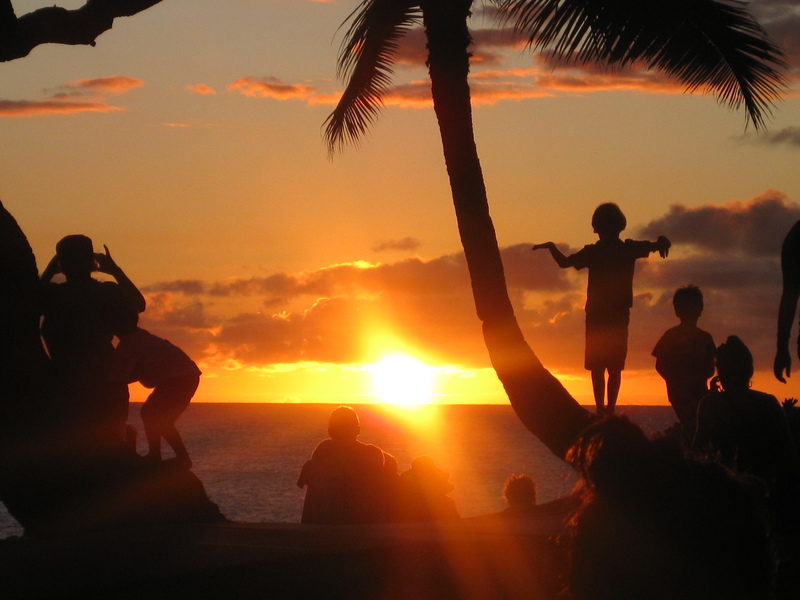 Seemingly, everyone who has visited Hawaii has their favorite location and/or island. We reasoned that since it was both of our first times there, and probably a long time until our second visit, we chose Oahu only. 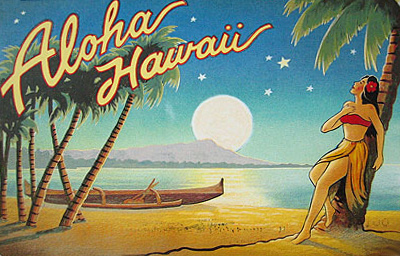 North Shore and Pearl Harbor were two locations that heavily influenced our decision. 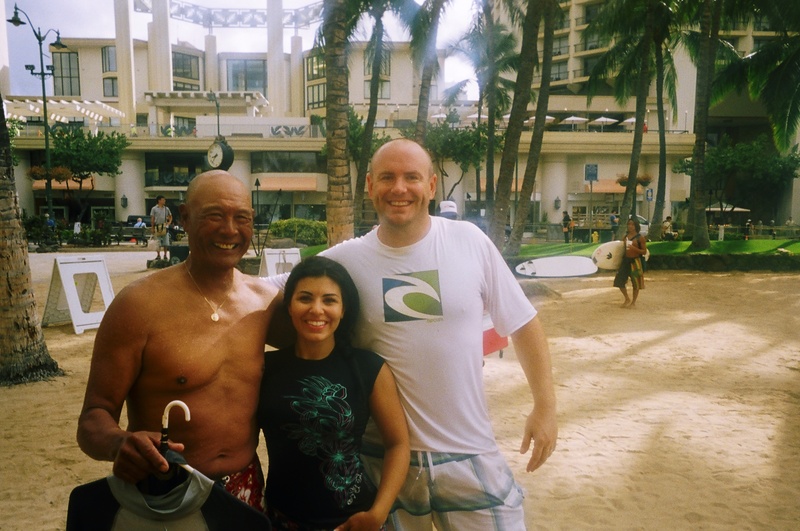 Waikiki Beach after Steve’s first surf lesson/experience. 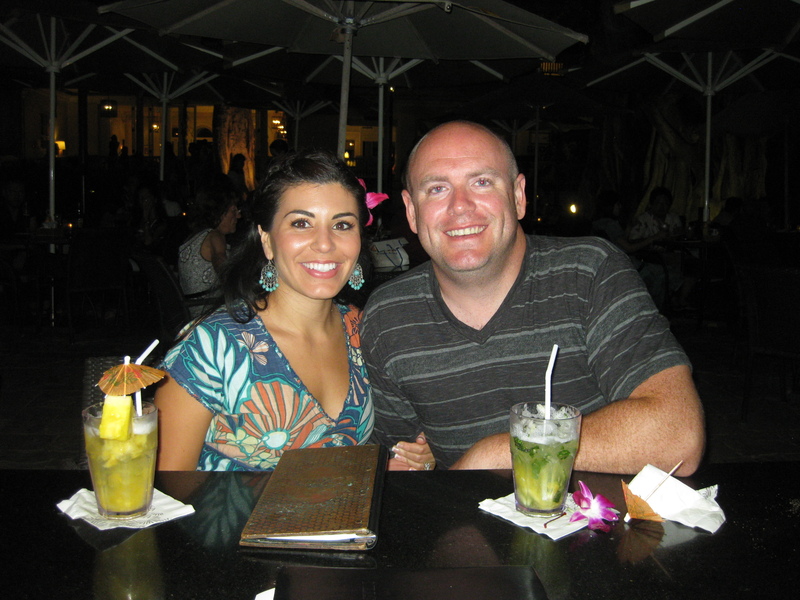 The first two nights in paradise were spent in Honolulu. 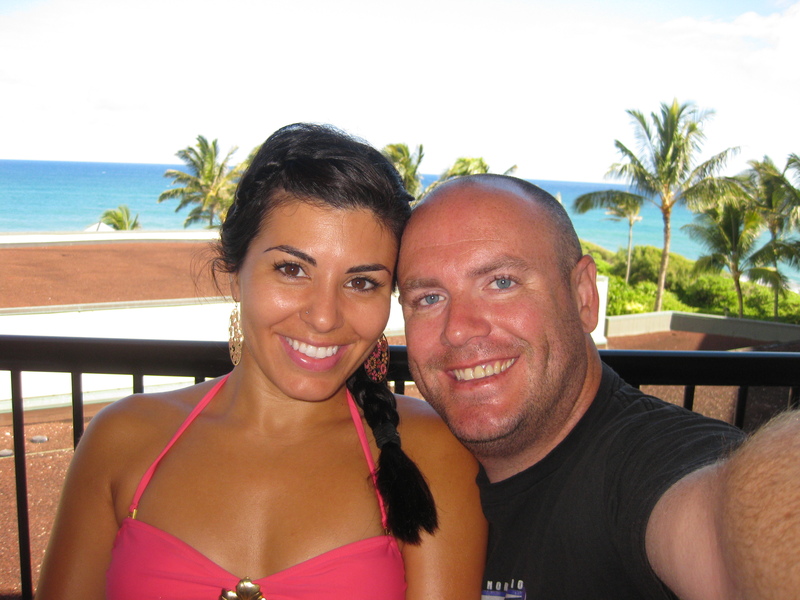 Thanks to Steve’s business travel, were able to stay across from Waikiki Beach at the Hyatt for about $50. Honolulu was not everything we expected. It reminded us a lot of LA… lots of designer shopping, tourists and tourist traps. 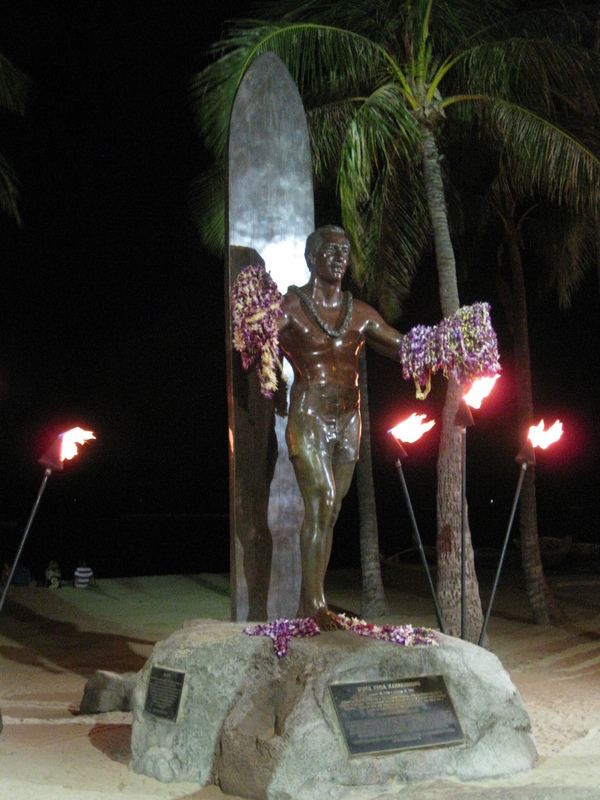 Waikiki (live webcam of the beach) was amazing though, even with the constant throngs of tourists lining the beaches. Steve being the surfing virgin, took a lesson the morning of our last day in Honolulu. 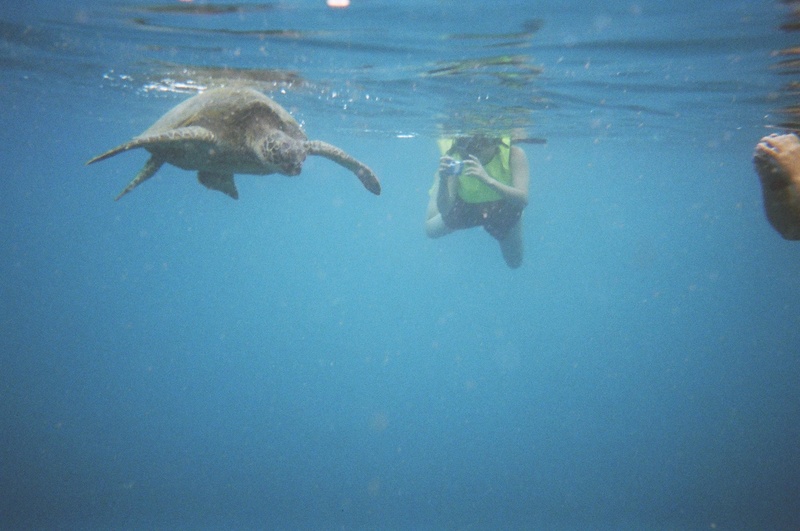 Surprisingly, he stood up a few times on the small waves… but a victory nonetheless. We followed up the lesson with an in-room massage. Tip- when planning a stay in a different town, search Groupon, LivingSocial, etc for deals before you leave. Yelp is also a great resource on the road. 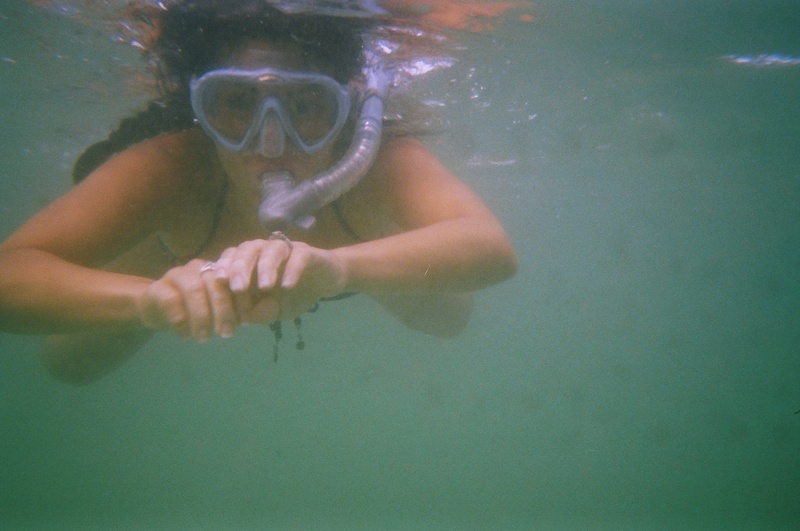 Besides the massage, we also picked up a great snorkeling package too. 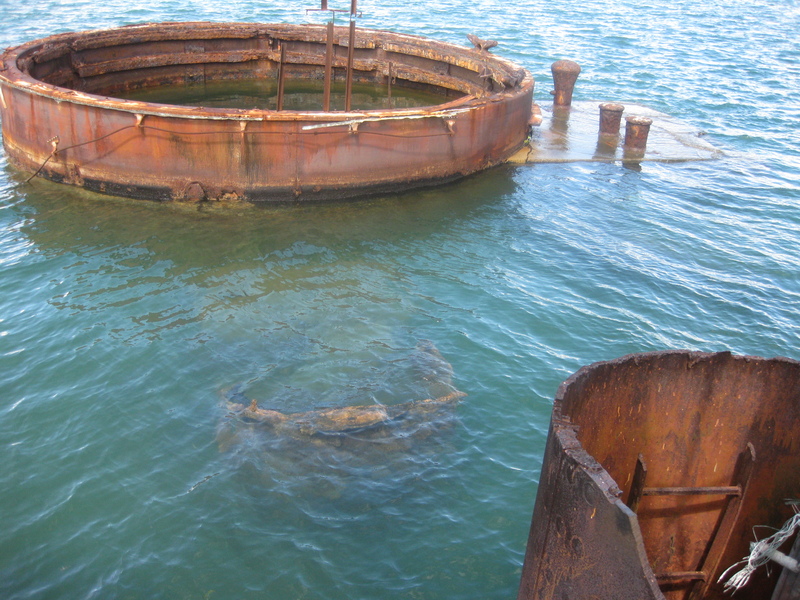 As we left the city, Pearl Harbor was next on the itinerary. So much has already been said about this place, and words don’t always do justice. 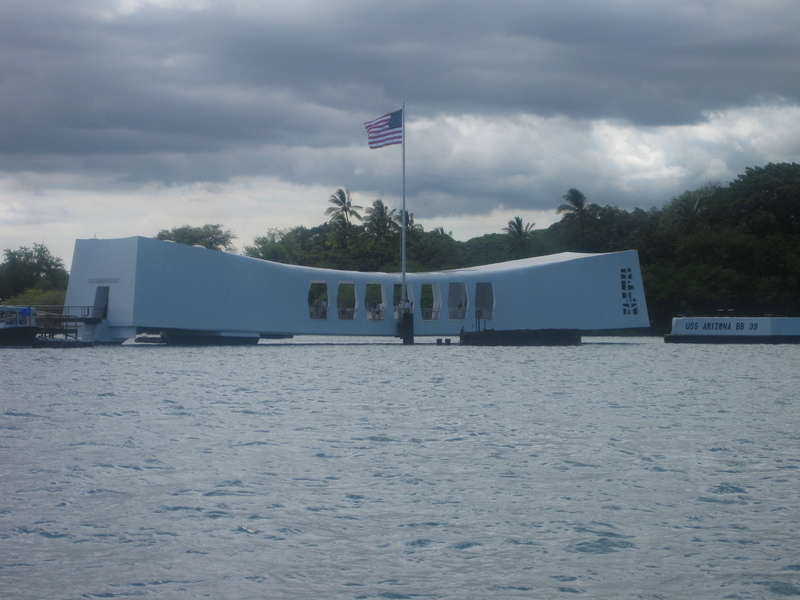 If you come to Oahu, you need to come here… the history, the serenity, and the power of this location makes it a mandatory stop. The drive to North Shore was great… Steve enjoys driving and we were able to see some of the countryside. 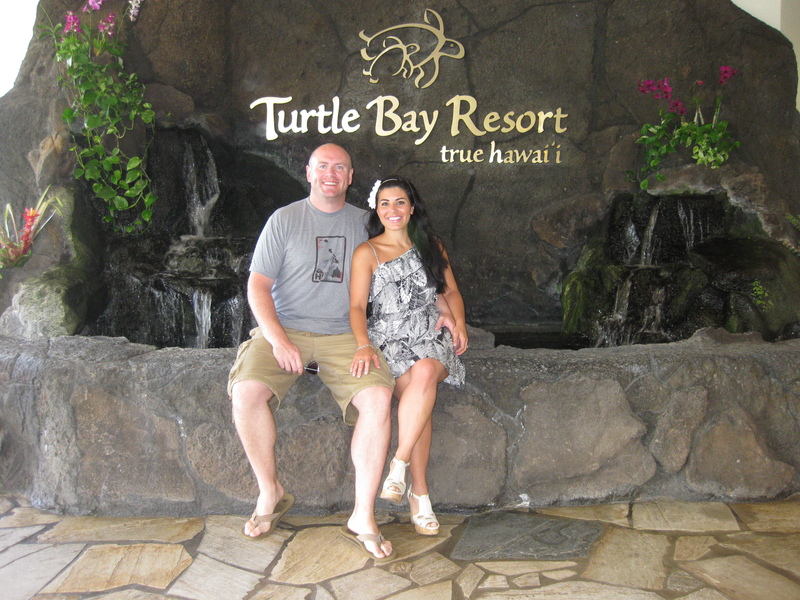 Our stay for the remainder of the trip was at Turtle Bay Resort. 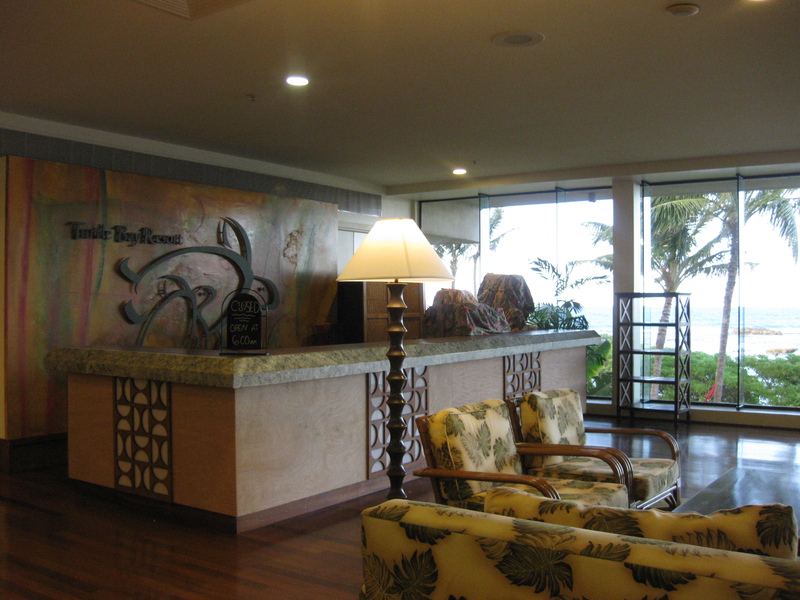 You may also know it as the resort in “Forgetting Sarah Marshall” too. Sunset of our first night on the North Shore. Can’t beat cocktails and scenery like this! A shot from our hotel balcony. 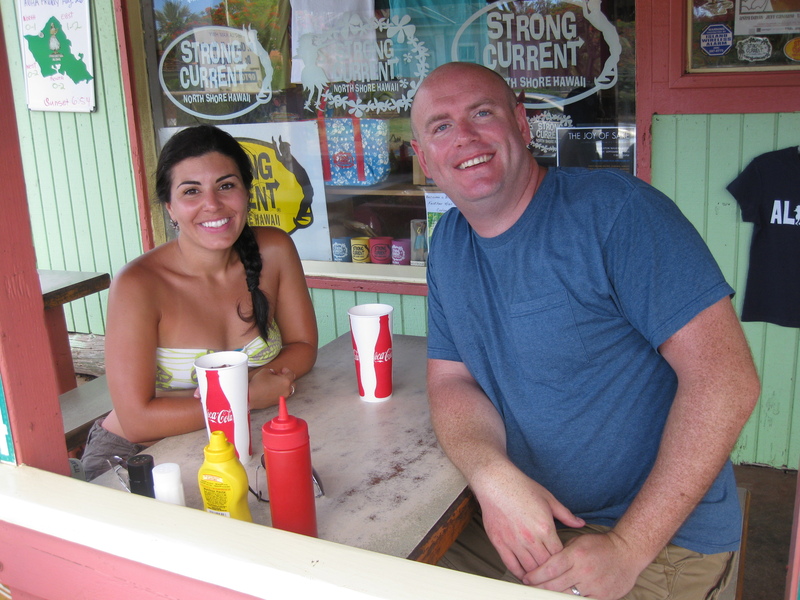 Eating, drinking, snorkeling, swimming and relaxing is the short and easy way to describe our stay. 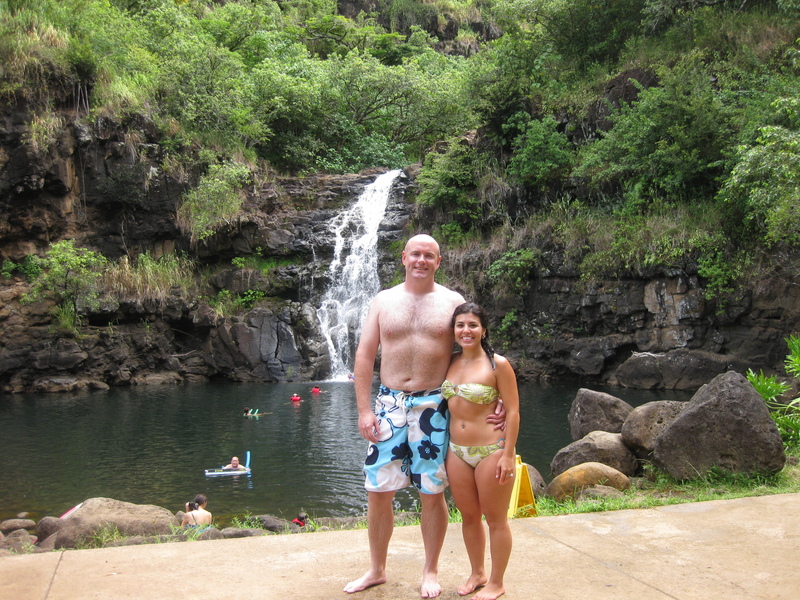 Picturesque waterfall in a nearby park… don’t worry, we didn’t chase it. 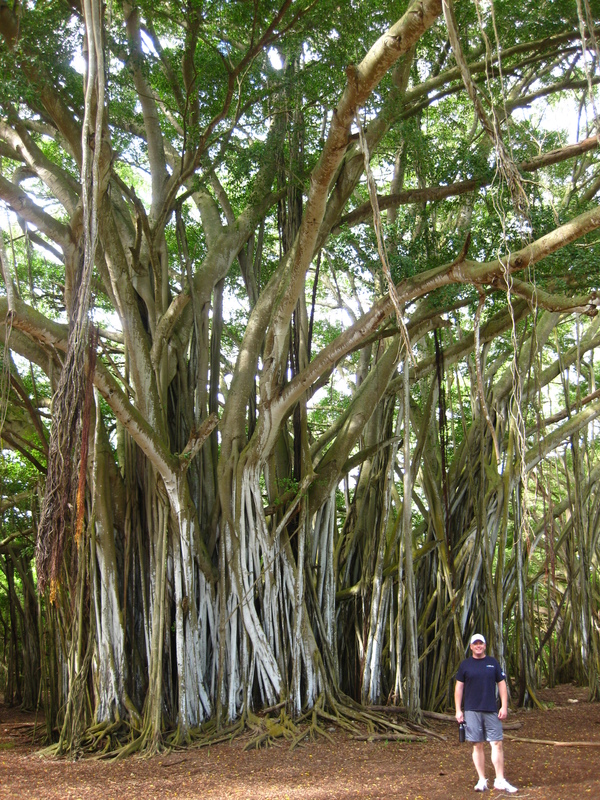 The Banyan tree from the show “Lost”, we found it on a hike near our hotel. We also came across a WWII look out too. For further excitement, we went to the Polynesian Cultural Center. Included in the event was a luau, educational presentations and a very awesome show (Ha – Breath of Life) to cap the evening. It was one of our last nights on the island and the performance is something that we’ll definitely remember! At the luau, they called all the newlyweds onto the stage for a dance. Checking out… while we’re smiling, we’re a bit sad to leave this place of natural beauty. That about covers the long and short of it… we ate well, drank well and slept well. We thoroughly enjoyed the time together after the wedding, and it marked a great start to our lives together. 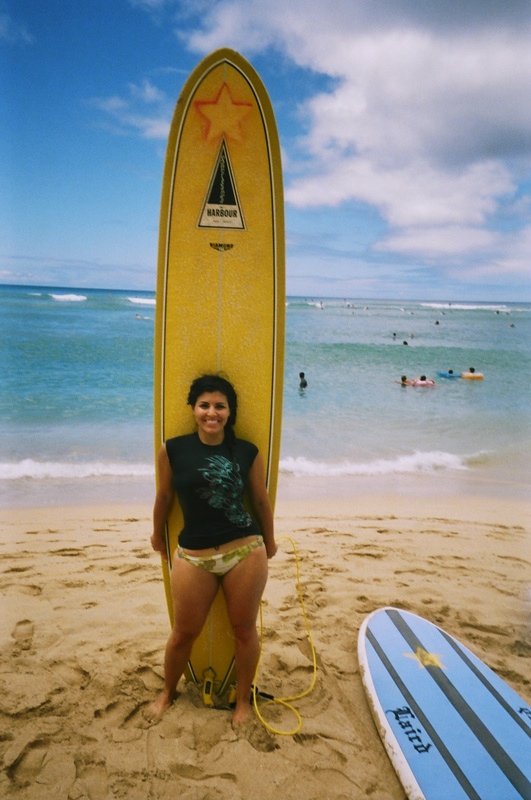 This entry was posted in Honeymoon and tagged Albers, duke, hawaii, honolulu, luau, north shore, pearl harbor, polynesian cultural center, snorkeling, surfing, turtle bay, waikiki beach by stevealbers. Bookmark the permalink.